Bored doing the usual dinner for two or getting flowers for that special someone on Valentine's Day? 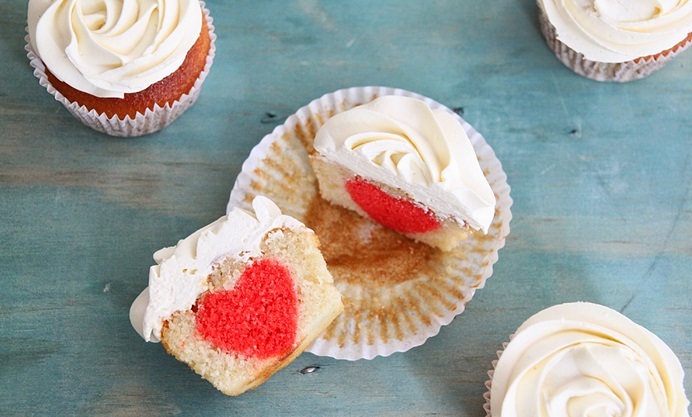 These surprise inside cupcakes are just what you need to whip up. 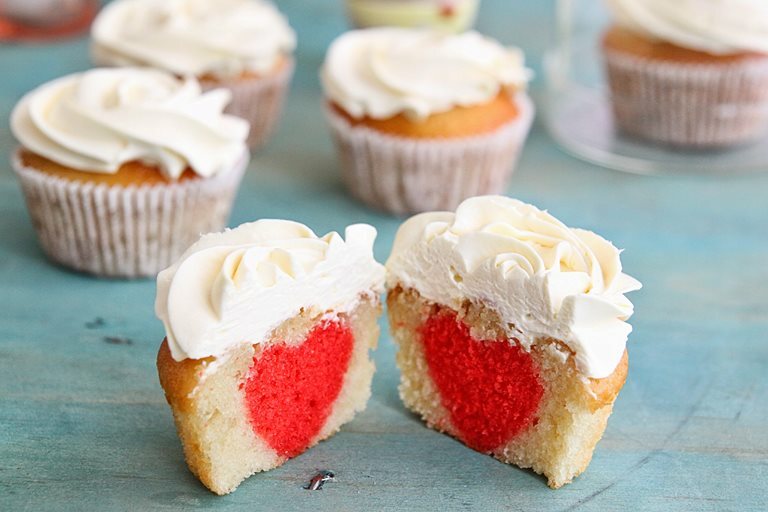 On the outside it's a normal cupcake, nothing much to talk about, but take a large bite and you'll see a cute little heart staring back at you. Now that's what I'd call 'going that extra mile' to make someone feel special. It would also come in handy if you've forgotten to buy a gift. It takes no more than an hour or two at most to put these together. You can use any cake recipe for this, but I used my trusted French Yoghurt cake recipe which is pretty easy to make. 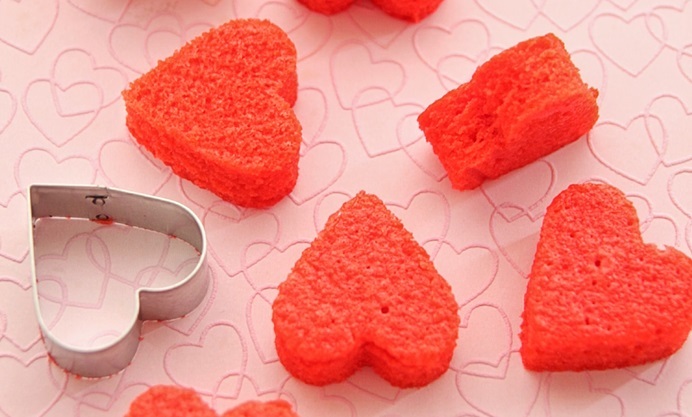 It would be better if the batter is thicker as you won't need to struggle with keeping the hearts intact. That said, this batter is not that thick, so if you are finding it difficult to keep the hearts upright, then bake that first tablespoon of batter you pour in first, for about 5 to 7 minutes, take it out and then put the hearts in. This will make them stand upright without much trouble. Since it's Valentine's day and all, maybe you can ask your other half to help out by keeping the hearts upright with the skewers while you pour the remaining batter on top. Once they bake, they may not look perfect on top, but that's fine,because you have this amazing cream cheese frosting to cover up the uneven tops. The cakes can be done a day or two ahead and keep perfectly fine at room temperature, but once you frost them, then store in an air tight container in the refrigerator and eat within three days. I promise you'll not be able to hold on that long. Happy Valentine's Day.